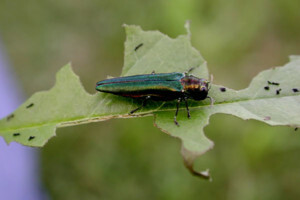 MADISON, Wis. — The bitter cold temperatures that gripped Wisconsin of late could also have a chilling effect on an invasive insect species that threatens the state’s ash trees, according to recent findings. U.S. Forest Service research biologist Rob Venette co-authored a study that found temperatures around 20 degrees below zero can reduce emerald ash borer populations by half. Venette told Wisconsin Public Radio that this week’s extreme cold will likely kill up to 80 percent of the invasive Asian beetles in Wisconsin. The invasive pest was discovered in Wisconsin in 2008 and has spread to more than half of its counties. Emerald ash borer are responsible for killing tens of millions of ash trees across the U.S.
Venette and other researchers studied ash borer larvae in Minnesota during the last polar vortex in 2014 to measure how much cold it takes to kill them, he said. 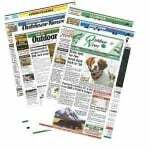 They recorded up to 70 percent mortality when temperatures reached 23 degrees below zero. “Because it’s been so much colder this go around, we’re expecting much more mortality,” he said. Wisconsin DNR official Andrea Diss-Torrance said the recent polar vortex won’t cause the insect to go extinct, but could buy landowners time to treat ash trees that haven’t been infected yet. “Or even kill it out if the infestation has just started and the population in that tree is still pretty low,” she said. Venette said the challenge will be preventing the few insects that survive the extreme cold from re-establishing their populations. “Within a year or two, unless it’s cold again, we expect those populations to be back where they are about now,” he said.